Recently my family and I had the opportunity to visit some of Ohio’s Lake Erie Shores & Islands attractions. This was a hosted visit, however, all thoughts and opinions are strictly my own. Winter in the northeast can be brutal. As soon as January rolls around, we are already dreaming of when spring will appear. 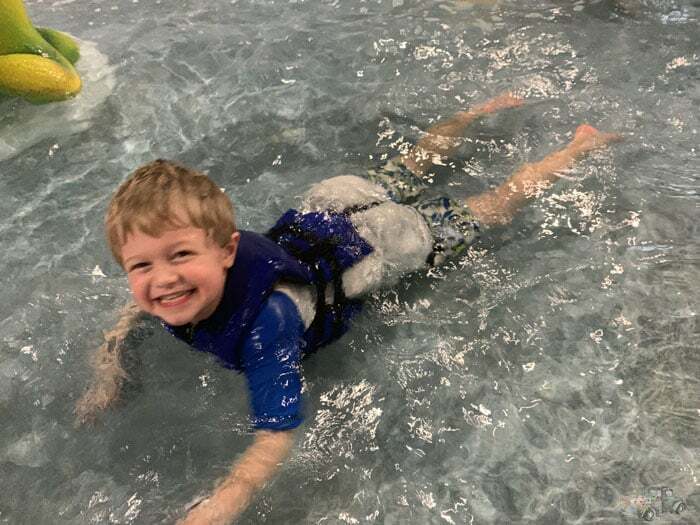 While many of our usual summer activities have to be suspended for the cold months, I am always looking for ways to get the family out of the house and enjoying destinations that we may have not been to before. Lake Erie Shores & Islands are best known for Cedar Point — and Cedar Point’s roller coasters. However, as we found out on a recent visit to the area, there is so much more to do than just ride roller coasters. Swimming in February is crazy, right? 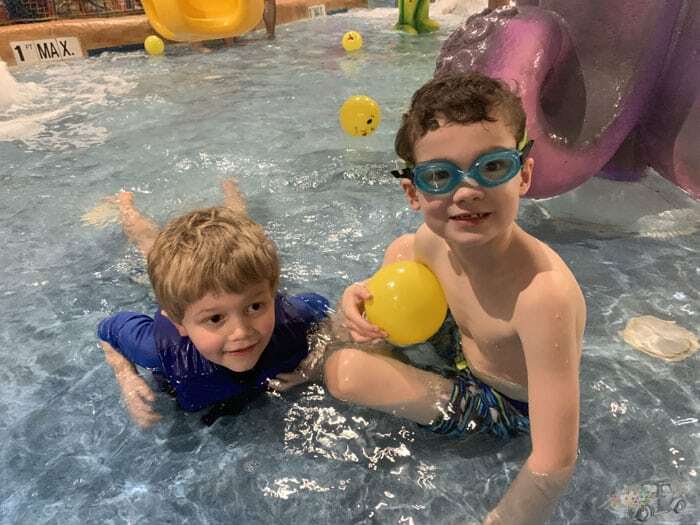 The swimming season here in Western Pennsylvania is pretty short, which is a shame because both of my boys love to swim. Anticipation was running high as we approached the entrance to Kalahari Resorts and Conventions. At check-in we were issued wristbands which not only serve as admission to the waterpark, but were also used to open our hotel room door. This was handy so we didn’t have to worry about taking (and keeping track of) keys while we were in the pool area. 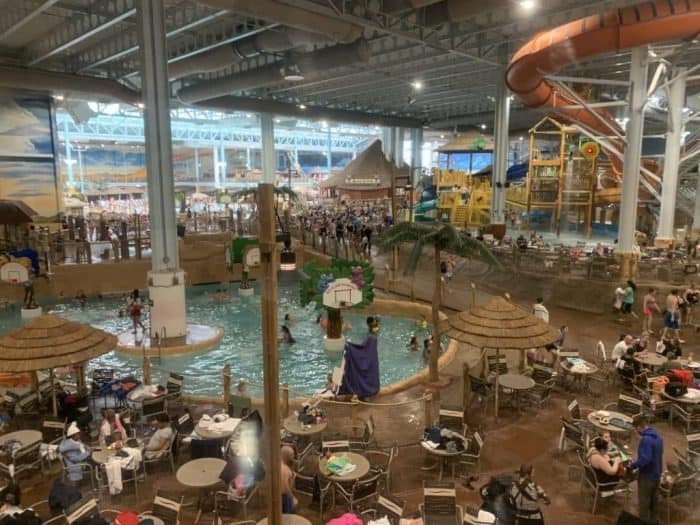 Kalahari Resorts are unlike any other water park I have ever experienced. This resort features 173,000 square-feet of indoor water park space in addition to 77,000 square-feet of outdoor water park space. The best part, however, is that it is always 84 degrees inside. There are so many options when it comes to things to do inside the Kalahari Waterpark. 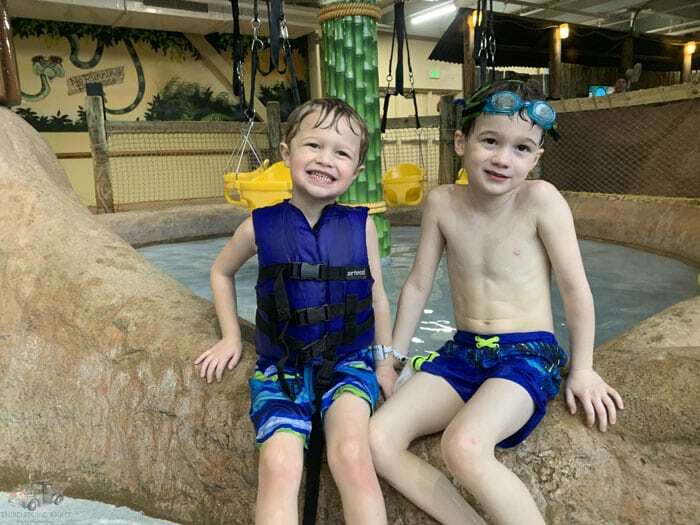 The boys had a blast playing in the lazy river, wave pool, basketball pools, and even the indoor/outdoor hot tubs. I think the fact that we were able to relax in a hot tub when it is in the 30s outside was something that the boys thought was really fun. There is so much to do at Kalahari that you should plan for more than one day. In fact, access to the water park starts from the moment you check in and lasts until 3 p.m. on the day that you check out. 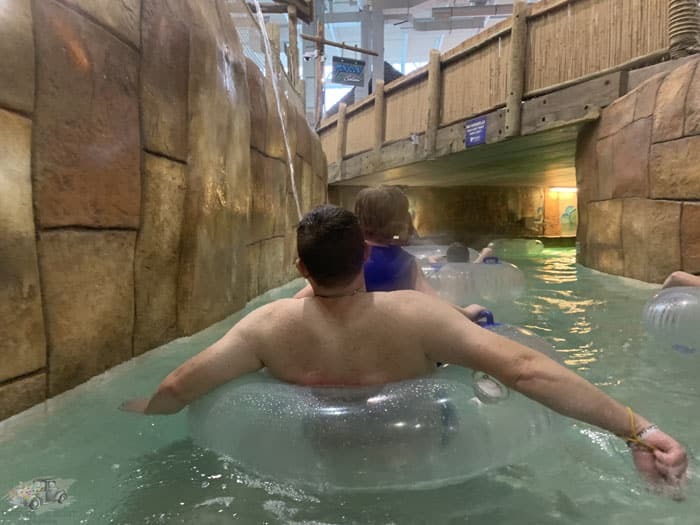 Ryan and I had the opportunity to do some relaxing while we were at Kalahari. Spa Kalahari generously allowed us to try two of the new spa treatments that Spa Kalahari is now offering. 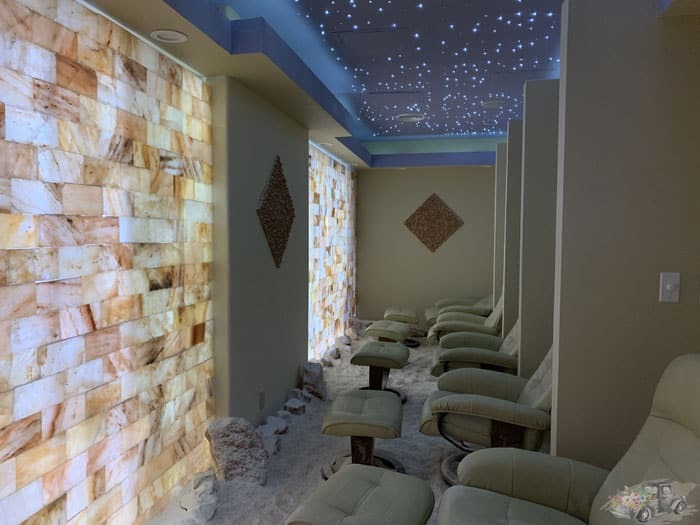 These were the Float Experience as well as the Halotherapy Salt Therapy Room. On Saturday morning, I headed down to do the float. It was unlike anything I’ve ever done before. 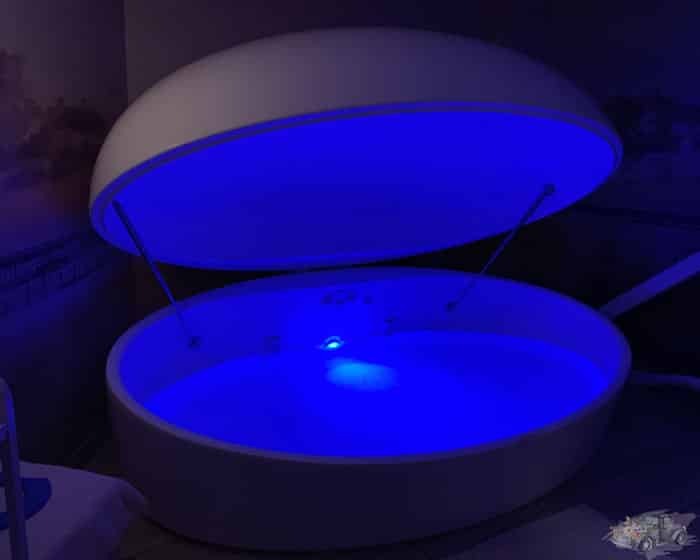 The float tank is only a few inches deep, but it is made of a high-density salt solution which allowed me to float pretty much effortlessly. Next was the Halotherapy Salt Therapy. In this room Himalayan Salt, some of the purest most valuable salt on Earth, is ionized into the air in the room so all you have to do is sit back, inhale deeply, and relax. This therapy is perfect for those experiencing cold and flu symptoms, or as a general immune system booster. 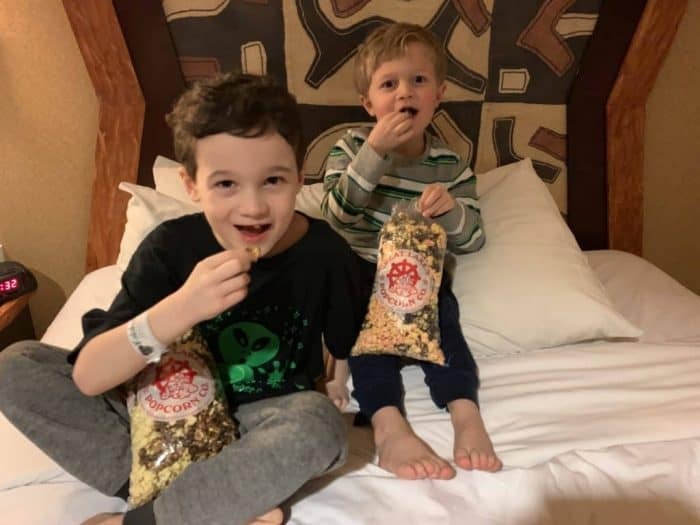 There are plenty of eating and drinking options right on-site at the Kalahari Resort. Of course, you are able to leave the resort to get some local flavor, but eating right at the hotel is definitely convenient. Ranging from a coffee shop to grab a quick breakfast to full sit-down restaurants, there is something for everyone. There are even places to eat inside the water park. One unique eatery is the B-Lux Bar and Grill located right outside the waterpark. 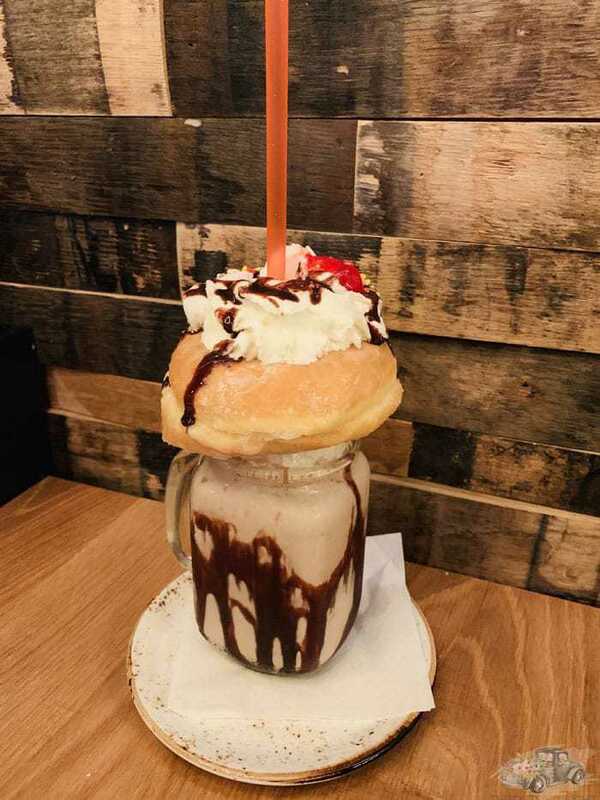 Check out their amazing milkshakes such as this donut one. I’ve never had anything quite like them! They also have delicious burgers and signature cocktails. Kalahari isn’t the only fun attraction in the Sandusky-area during the winter months. After the spa experience, we decided to take a drive over to Port Clinton, which is only about 15 minutes away from the Kalahari Resort. If you are into fishing, you might know of Port Clinton for its fishing charter boats which head out onto Lake Erie in search of the area’s famous perch. However, even if you aren’t into fishing, there is plenty to do in Port Clinton. One of our family’s favorite Port Clinton attractions is the African Safari Wildlife Park. 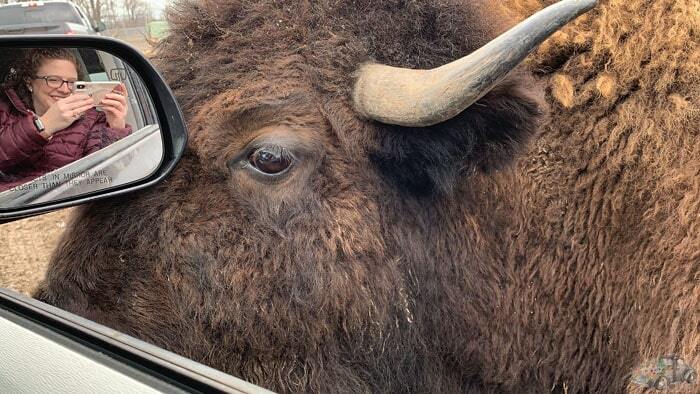 This drive-through attraction is a family-favorite way to get up close and personal with some exotic animals. Since it is winter, some of the animals such as the giraffes and zebras weren’t out, and the walk-through attraction wasn’t open. However, there were plenty of buffalo, llamas, deer, and alpacas to see and feed. I highly recommend buying some feed in addition to your ticket price. We bought several cups of feed, lettuce, and some carrots. The boys had a blast feeding the animals right from the car windows. I will also warn you ahead of time — you will need to find the local carwash after your African Safari adventure! After the safari we decided to grab some lunch at Rosie’s Bar & Grill, which is located right in the downtown area. If you decide to eat at Rosie’s you can get some of Lake Erie’s famous perch sandwiches as well as some absolutely delicious homemade desserts. Just down the street from Rosie’s is the Great Lakes Popcorn Company. You have to put this one on your list. I wasn’t too sure about bubble gum or root beer flavored popcorn, but after doing some taste testing we were sold. I wanted to try them all! The great thing is that tasting is absolutely welcomed and you can even mix flavors in order to make different tastes. Plus, the prices are super-reasonable. While we continue to wait for spring to arrive here in Pennsylvania, our weekend at Lake Erie Shores & Islands was a great way to break the cabin fever. There is so much to do in the Shores & Islands region that I feel we could have spent an entire week there – and this is even before Cedar Point and other local attractions have opened for the summer. Trust me, we are already thinking about when we will be able to go back!